The school year is FINALLY coming to an end (or, at least it is here), and while I still have two tests and a project due in the next few weeks I've been to a few book signings in the past month or so and have bought and had an extra copy signed here and there, leaving me with a rather large stack of signed books to give away. From those extra copies I've put together a small bundle of YA contemporary novels that I think will be perfect to read over the summer. But I'm sure you're wondering what books you can actually win, so let me show you. I know it's not QUITE as good, but seeing as I have already purchased the three novels above and I'm assuming I'm going to a State University come Fall (which means like, triple the cost) I don't really have a ton of extra money to spend. So, now that all of that is out of the way let's get onto how you can enter to win these fabulous prizes. All you have to do is fill out the rafflecopter below and you're all set. The giveaway will run until the day I finish my classes (which also happens to be the day I graduate from community college and earn my Bachelor's of Science), which, for those of you who aren't me, is June 17th. Congratulations on your graduation!! You should definitely add ACOMAF, TR&TD, and The Crown's Game to your TBR if you haven't already. Thanks for the chance! I rec Love me Never by Sara Wolf! Such a funny, romancy, drama packed YA contemporary that I'm sure you'll love! You've probably read them, but any of Kasie West's books! 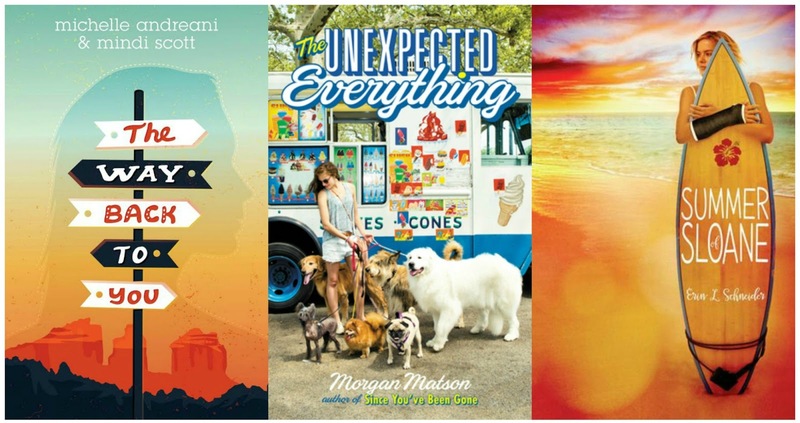 They are some of my favorite summer reads! Thanks for the generous giveaway and international option! So many books to recommend, but a few I think you should add to your Summer TBR: Firsts, Summer Skin and Just Visiting! Did you read Dreamology yet? Wonderfully romantic and highly imaginative.